Hahahahaha! I have to say that as a mom of three I am thankful that I have yet to hear that statement from my kiddos, but I also have to admit that I would love to say it to some of the more difficult people I have to deal with from time to time. This “Why don’t you make me?” moment is a positive one! Why don’t you make one of these for your classroom! I am going to definitely make one for mine! Take a cardboard circle (like from a pizza box), or just cut one out. Cut out the center and attach clothespins (see the pics)! I plan on either adding washi tape or glitter to my clothespins! I will post pics once it is finished! I plan on hanging this picture holder on the bulletin board right by my desk in my classroom! I will probably have some pictures on it, but I mostly plan on keeping all of those adorable pictures, notes, and other items from my students on there! What a great way to display those little items that my sweet students give me each year! They are sure to lift your spirits and make you smile every time you see them! So…why don’t you make me? 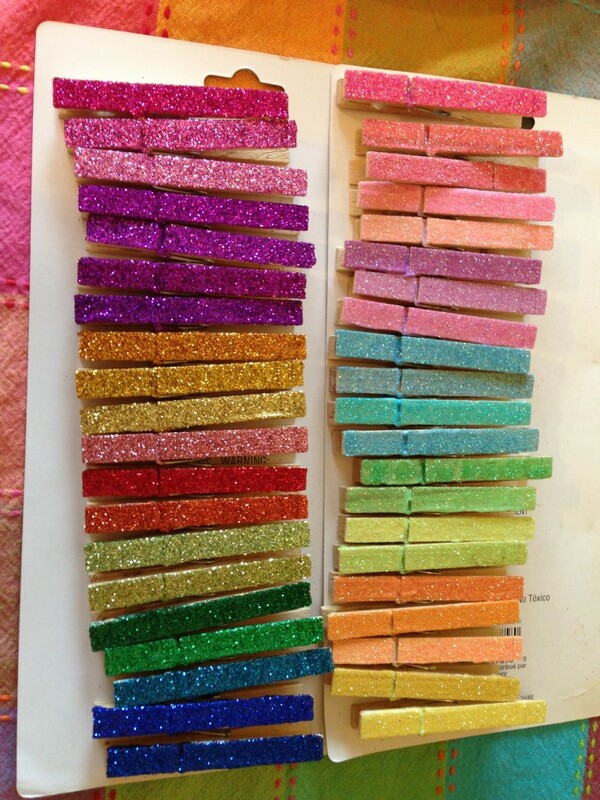 I found this great tutorial on how to make glitter clothespins over at First Grade Brain’s blog! Go check out her blog and this post to see exactly how to do it! She gives some really easy to follow directions and hers turned out great! Why don’t you make me?????? ← Pom Pom Critters are so CUTE (and they are an effective tool for positive reinforcement)! Thanks so much! I really appreciate it! Hopefully, I can do the same for you in the future! How are you fastening the stationary end of the clothespin to the cardboard circle? Are you using glue? Wondering if it lasts. I hot glued it to the cardboard. It seems to be holding up well! Once school starts, I will have to post some pictures of it in use! How are you hanging it on the wall?? I used a Command hook to hang it up!